It is mostly famous for the Tam-coc boat ride through the paddy fields but this boat ride is very crowded and you will see an insane amount of boats with people, which is somewhat underwhelming. We suggest you skip the boat rides here and get a scooty and explore the whole area. If you really want to do a boat tour, we suggest you do Thung Nang boat tour which isn’t that crowded and is still so pretty. In-case you don’t want to miss Tam-coc Boat tour as well, go early in the morning before the tour buses reach Tam-coc. THAI VY temple and BAI DINH Pagoda are not to be missed. There are a number of shrines in the Bich Dong complex and it is almost impossible to capture the beauty in pictures. Don’t miss it out. Bird Valley is another place which is very underrated. 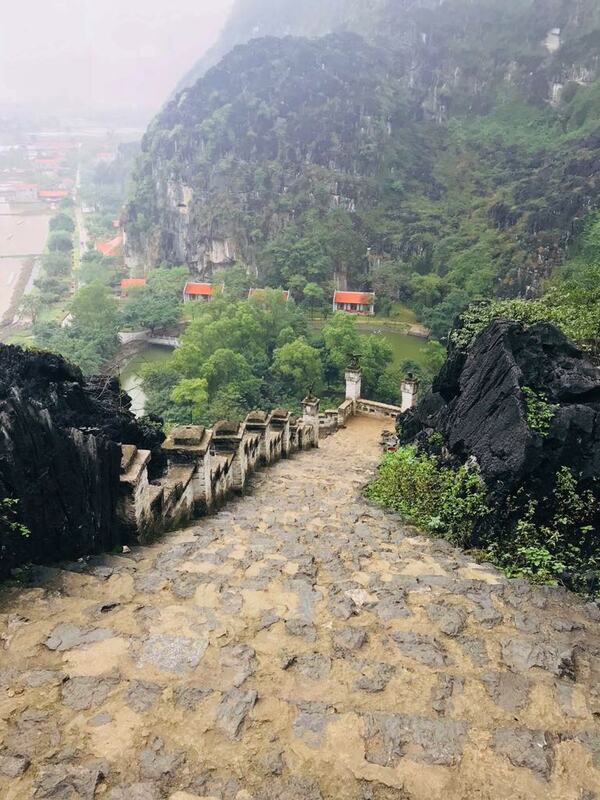 If you have a few days in Ninh-Binh, make sure to check it out, but be prepared to walk a lot. 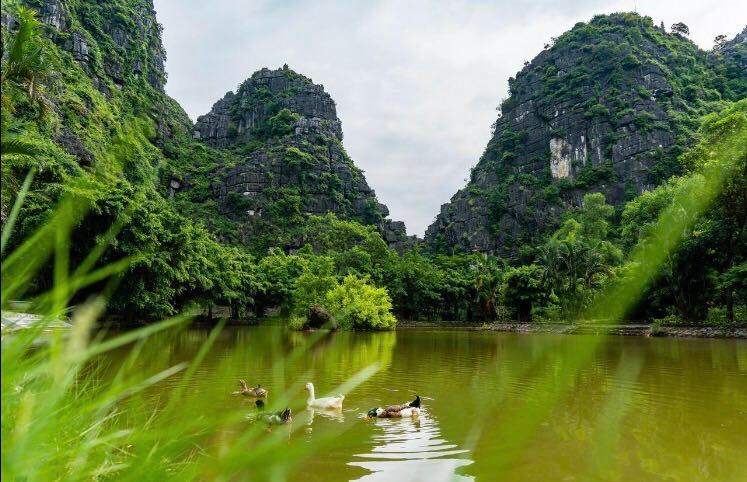 Inside the Bird valley, there are quite a few things to see, like the Mermaid caves(said to be one of the most beautiful caves in Vietnam), a boat tour, ancient trees,and of course Bird valley. This is the place where you should actually go for a boat ride. This boat ride is more beautiful and there aren’t as many tourists here as there are in Tam coc. There is usually a lady rower and the prices are fixed for the boat rides. It is a great experience and you will be amazed to see how the lady rower manoeuvres the oars. There are a lot of articles that tell you how the ladies ask for more money in the middle of the boat ride, but we didn’t experience anything like this. Mua caves is around 5 kms from Trang An and although you have to climb up a flight of stairs but the views from the top are breathtaking. on the other side, at a distance of about 5 Kms from Trang AN is HOA LU, the ancient capital, which is again understated. The entrance to the capital looks grand and the scenery around is stunning. Van long Wetland reserve is around 28 kms from Tam coc and is a must visit if you have the time. it opens up at 7 AM in the morning and you can take a boat where a lady rower takes you through the reserve, This is particularly famous among Bird watchers who come here to spot various rare bird species. You can also explore the KENH GA floating Village if you are planning to spend more than 3 days in Ninh-Binh province. 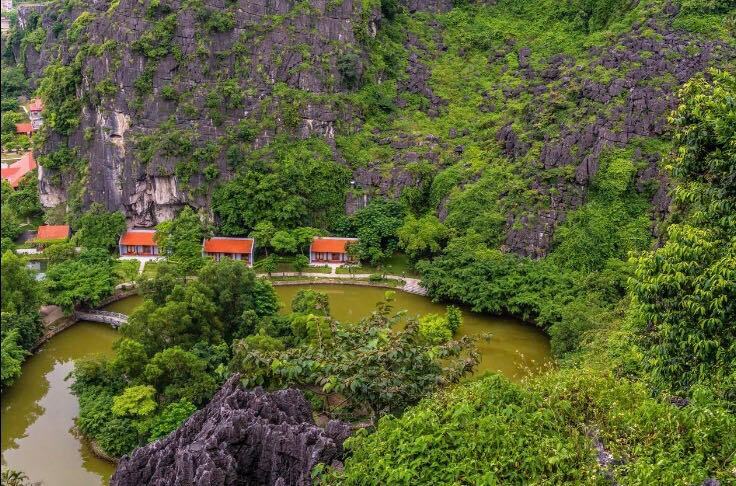 I hope this helps you plan the perfect trip to Ninh-Binh. It is one of those places that you have to see in flesh to truly appreciate because pictures just don’t do justice to it.